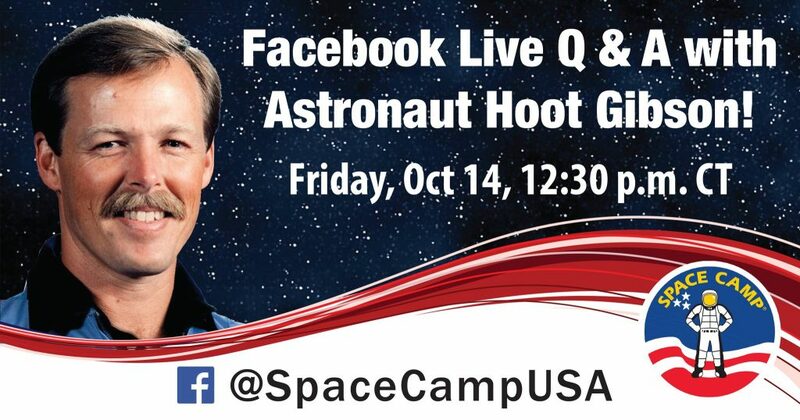 After this year’s “Hoot Camp,” an Adult Advanced Space Academy with Astronauts Robert “Hoot” Gibson and Bob Springer, wraps up tomorrow, Hoot Gibson will be sticking around to do a Facebook Live Q&A! Tune in at 12:30pm CDT to ask Hoot a question and hear what he has to say! 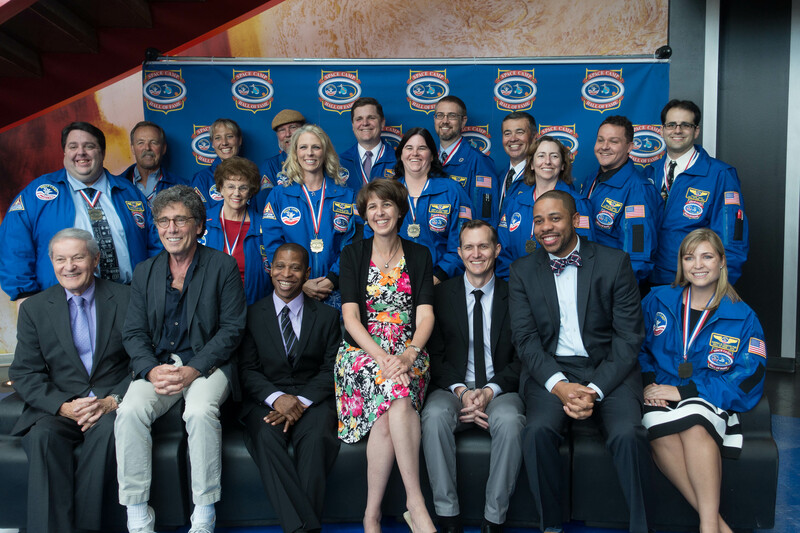 Saturday evening capped off the 2016 Space Camp Summer Fest with the annual Space Camp Hall of Fame Induction Ceremony! A few hours before the event, all of the previously inducted Hall of Famers in town for the event gathered for a little rehearsal. Like last year, we were invited on stage to help welcome in the new inductees! I was lucky to be drafted to team Amy, and it was a pleasure to share the stage with her! Jason, George, and Larry all provided sincere and poignant moments to the evening. 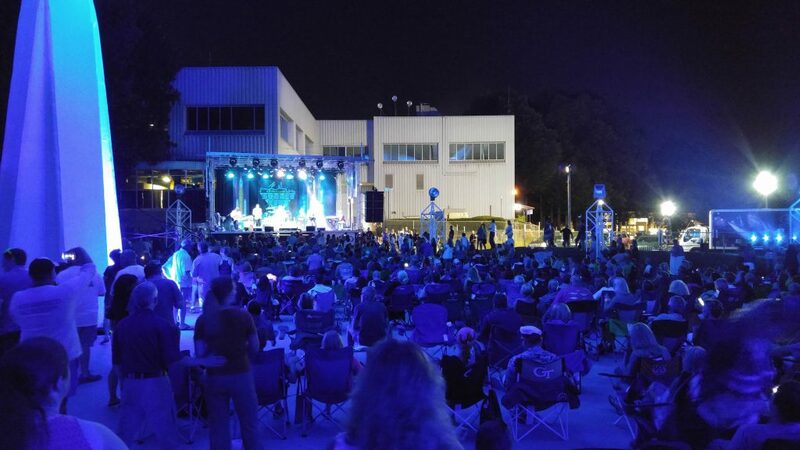 All-in-all, this year probably saw more of the Hall of Fame return to Huntsville for the event than any year prior! Among the notables, Francis French made his first visit back since his induction in 2011! The introductory videos were extremely well done, and Pat Ammons and her team deserve a round of applause! I do hope they have them up on the Space Camp YouTube channel soon and I hope to have a full cut of the evening, including Mile O’Brien’s comments, soon! During dinner, I was fortunate enough to be seated at the same table as Astronaut and Space Camp bestie Bob Springer! Bob Springer and Space Camp go way back, well beyond all of the time he spent in the sim for the Summer Fest weekend. 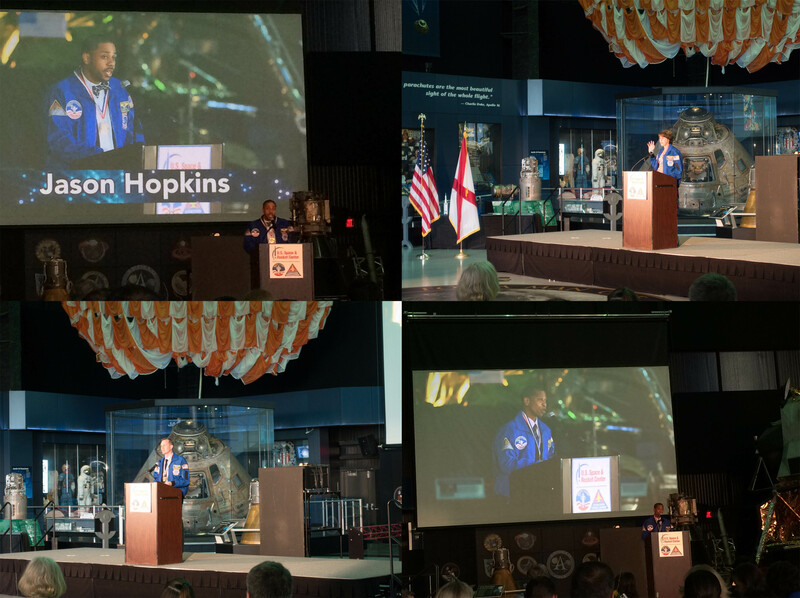 I was able to speak with him about all of the Space Camp videos I’ve seen him in over the years, going all the way back to the Journey to Jupiter in-line videos, promos in the 90s and 2000s, and on to present day! He’s been a real friend to the Center, and it was a pleasure to get to eat dinner with him! 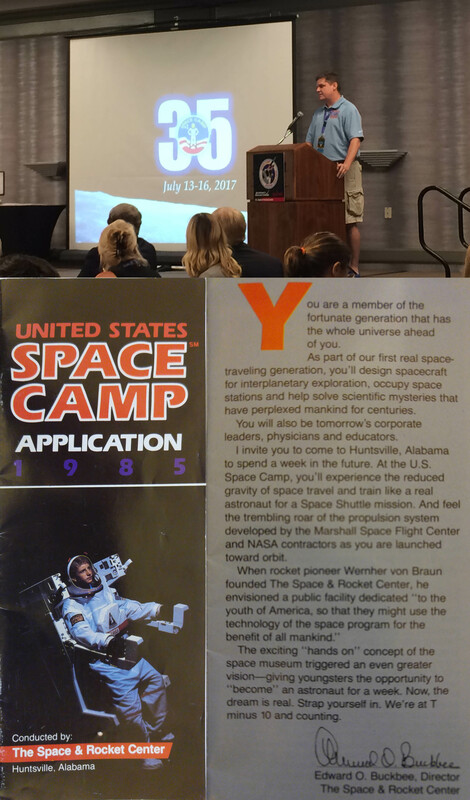 It was one of the many, “Only at Space Camp” experiences during the weekend! Afterward, it was time for the big concert! And it was spectacularly huge! Last year, the headline act was the Yacht Rock Review. And they did a wonderful job! So much so, they were brought back this year! But they were just the opening act! That’s how much bigger this concert got! Eddie Money and Mickey Thomas headlined, and Jeff Carlisi, Robbie Dupree, and Bill Champlin were there as well! It was a huge concert and a huge end to a whirlwind weekend! 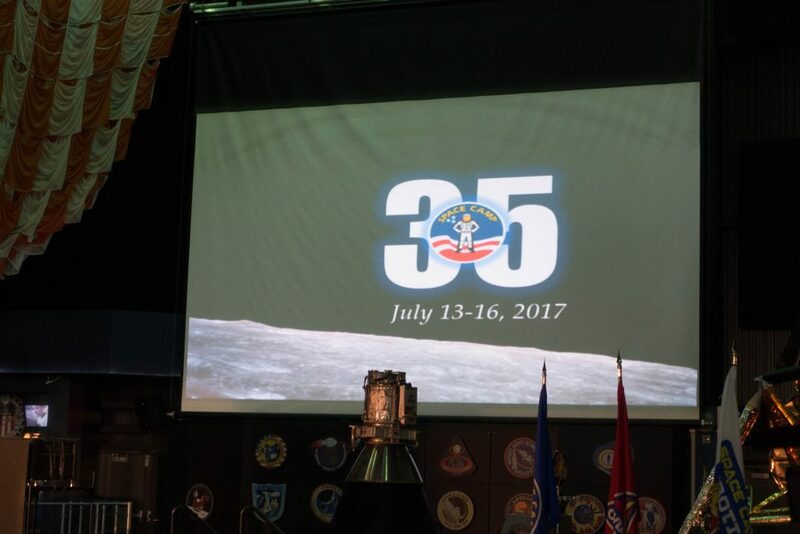 Next year marks the 35th Anniversary of Space Camp! The dates are already set. 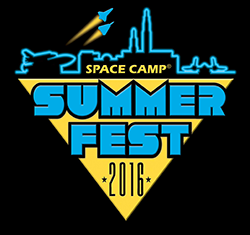 Friday is when the Space Camp Summer Fest really starts to get going! I spent a good chunk of Friday morning helping Space Camp Hall of Fame inductee Michelle Lucas prep items for the silent auction. Others, meanwhile, enjoyed time in the UAT, flying in the sims with Hoot Gibson and Bob Springer, and shopping in the gift shop! That last item was apparent, as the U.S. Space & Rocket Center broke the record for their single best day in gift shop revenue! At one point in the day, the register systems crashed! 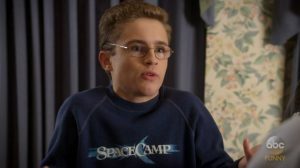 Later in the afternoon, the event I was most eagerly waiting for happened: Larry B. Scott, SpaceCamp director Harry Winer, producer Patrick Bailey, and Space Camp founder Ed Buckbee all piled into the Davidson 3D Theater along with the rest of us for a screening of SpaceCamp! What an amazing experience to watch the movie with the people who helped make it! Before the movie, there was an 8-minute reel featuring segments from promotional spots I was able to cobble together from footage I found in the Rocket Center’s vast tape archives. After the movie, Ed Buckbee, Larry B. Scott, Harry Winer, Patrick Bailey, and Scott Holcomb–Mr. Hideo Takamini himself–sat down for a panel discussion about the movie! That was wonderful, to say the least! But since words would not be able to do such wonders justice, I recorded the entire thing! Afterward, the first of two concerts began! The Molly Ringwalds played next door at the Marriott, and the Space Camp Alumni Association threw an amazing party! 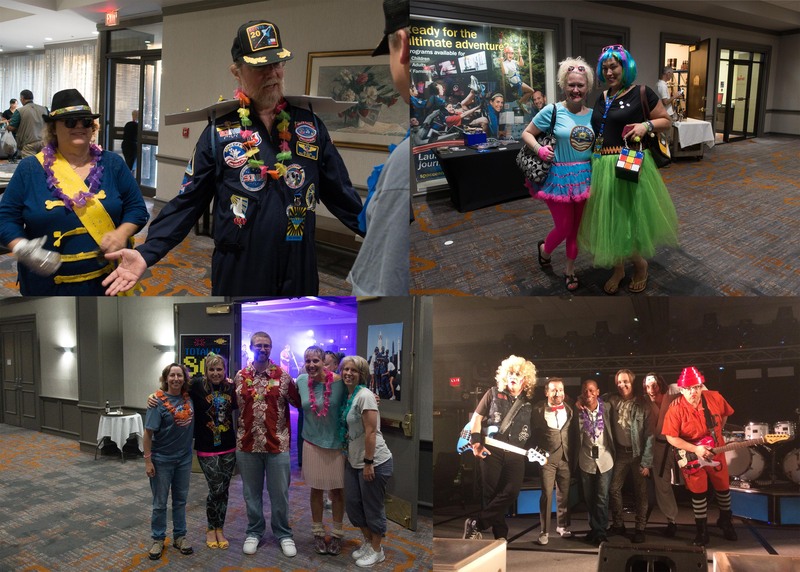 Since the entire theme for the weekend was the 80s, in honor of the 30th anniversary of the release of SpaceCamp the movie, there was naturally an 80s costume contest held! All-in-all, it was a very memorable day!